Published on 21 June 2012. It’s been a really awful day for weather here today – absolutely bucketing with rain for much of the day, and thick mist covering the city this evening. The Town Moor has become so waterlogged that The Hoppings, due to kick off tomorrow, has been delayed for what might well be the first occasion in its 130-year history. Let’s hope summer comes soon – or all nine days of The Hoppings could turn out to be a complete washout! 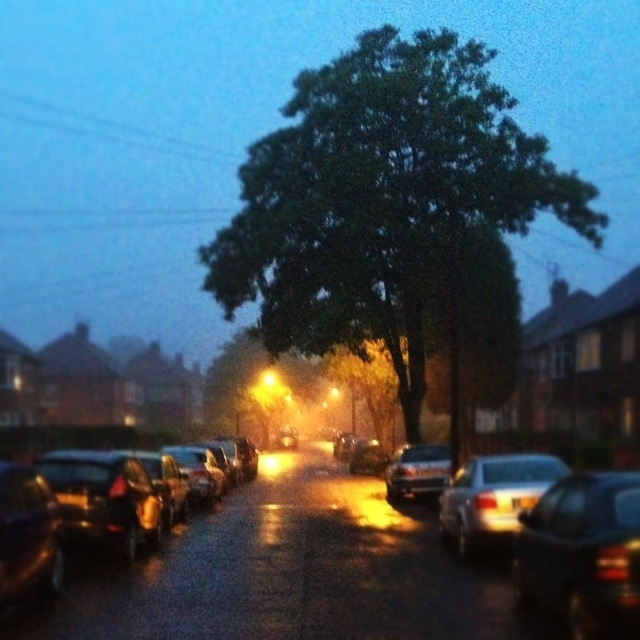 This 1,696th post was filed under: Photo-a-day 2012, Newcastle-upon-Tyne, Weather.